Moms in my area rave about donating their kids’ unwanted clothes and toys to Northwest Children’s Outreach (NCO). Unlike dropping off bags of outdated clothing to a thrift store trailer, families can walk into any of the 7 NCO locations in the Portland/Vancouver area and know their outgrown outfits will go to local children in need. The warehouse storage facility is not open to customers off the street. Social service agencies act on behalf of the less fortunate. These agencies submit item “orders” for families needing assistance. Anticipating working at Northwest Children’s Outreach was nowhere near the paralyzing fear I felt before my last assignment. I know friends that have given time here previously and have even volunteered with their children. 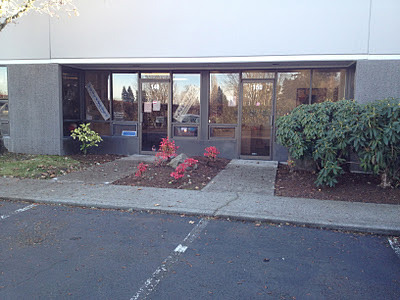 Unlike volunteering with Hands On Portland, there was no registration necessary. I sent an email to the office so that someone would be aware of my upcoming attendance. The reply directed me to just “show up” and look for Heather, the Hillsboro center coordinator. Just “showing up” makes me leery. What if they decide not to open that morning? What if too many people arrive and they send me home? Shouldn’t they take my phone number or email address? I need confirmation! The Hillsboro center is open Monday evenings from 7:00-8:30 p.m. and Thursday mornings from 9:00-11:00 a.m. I chose to volunteer alone on Thursday with the intent of bringing my kids with me to work an evening shift in the future. I arrived 5 minutes early and the building was dark. I panicked. Oh, great! I knew no one would be here. Now what am I supposed to do for a volunteer project this week? My whole blog idea is ruined before it even begins! Okay, I overreacted. I do that. As I allowed a small ulcer to develop, a minivan pulled up at 9 o’clock sharp. Two women at the age of retirement exited with bags of clothing. I pulled myself together and got out of the car. The minivan driver presented herself as Heather, the coordinator. Are women past the age of 65 allowed to be named “Heather”? I thought that name belonged to my Gen X peers. I let Heather know that I was there to volunteer for the first time. She introduced me to her friend, also there for the first time. Together the 3 of us went inside the storefront. Heather excused herself to turn on the lights and heat. “Nah, I’ll be fine,” I told her. I actually believed it at the time. Coming back up front, Heather showed me where the bathroom was and let me know where to put my purse. The woman is a mind-reader. 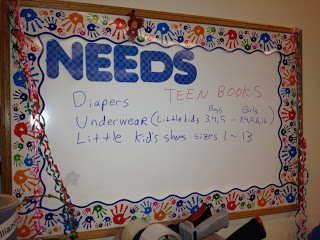 Northwest Children’s Outreach has many needs. Heather ensured I understood that everything at NCO is donated. 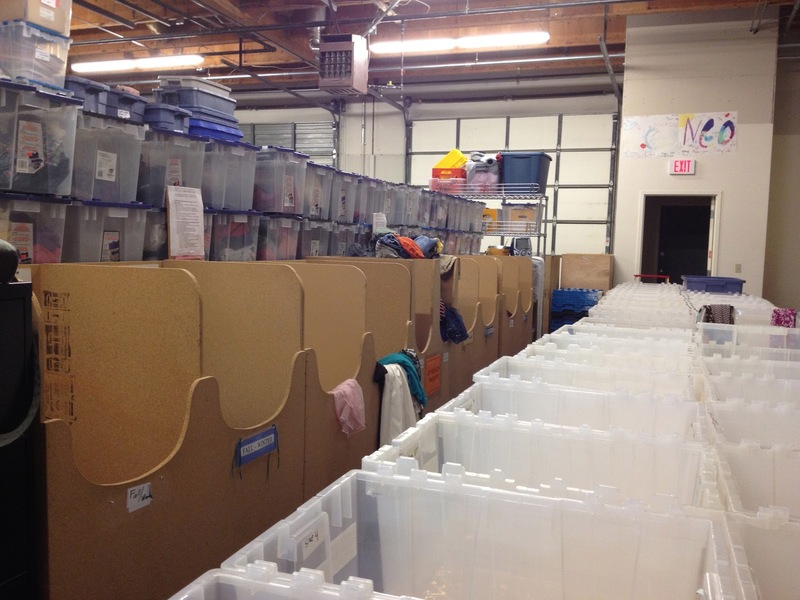 Not just clothing and toys – but supplies, labor, even the warehouse space itself is contributed. The only bills for which the organization is responsible are the light and heat. My hands still hadn’t warmed from coming inside. I’m guessing they watch that heat bill pretty carefully. Heather showed me around the building. 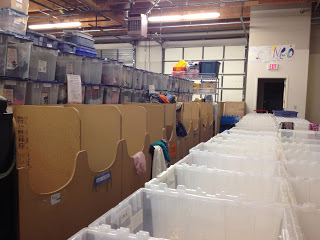 Hundreds of plastic bins lined the walls. Shelving units made clear divisions in the warehouse space. My organizationally obsessed husband would stamp his approval on this well-oiled machine. An engineer employed at nearby Intel is the co-coordinator of the center. That would explain the logistical placement of donated goods. Incoming donations are immediately separated into cubbies designated for diapers, clothing (newborn to teen), books, shoes, hygiene products, toys and a plethora of baby paraphernalia. From the cubbies, toys and books are delivered to their appointed rooms. One office space contains all baby needs: clothes, formula, cribs, infant toys, breast pumps, etc. One more room serves as storage for two items; diapers and birthday toys. Half of the room space contains new toys still in their packaging with the idea that all children deserve something special on their birthdays. The other half of the room is lined with shelves to hold packs of diapers. Yesterday, however, the supply was low. Heather asked me to sort next season’s clothing. Donated spring and summer items needed to be separated by size and type (i.e. pants, tops, dresses). A mother and her 3 home schooled daughters, who work at the Hillsboro center each week, joined in my task. Homeschool Mom was a pro at sorting. She’d take an armload of clothes and swiftly toss them into the appropriate bin. I was moving at a snail’s pace, gently looking for the size tag and carefully folding the item (using the “Disney” fold: a specific method used by anyone that has ever worked Disney retail) before placing it in the bin. My process was slowed even more now that my fingers turned to icicles. Why didn’t I just bring in my coat? Gloves and a scarf would have been nice, too. Periodically, I would find clothing that was stained, out-dated, or inappropriate for school wear. Putting these items aside, they would be picked up later by a representative from Birch Community Services. Birch takes what NCO can’t use for its own services to the those living in poverty. Items that are too stained to be worn get turned into cleaning rags. Nothing is wasted. Anyone willing to volunteer for Northwest Children’s Outreach simply needs to arrive during business hours. When I was working on Thursday, some volunteers would stay for the full shift. Others popped in as time allowed. Bringing the kids one evening would be a great introduction to the concept of “giving back”. Homeschool Mom and I were able to chat while sorting. Maybe instead of meeting a friend for coffee, I will suggest we meet at NCO to catch up while helping a worthwhile cause. If you don’t have time to volunteer, consider dropping off unwanted clothes and toys at a center location. I promise that the Easter dress your daughter wore one time will be put to good use. What about that diaper coupon in your Costco flyer? Pick up a package and then deliver it to NCO. If you shop at the Hillsboro Costco, the local center is right across the street. If you don’t live in the Portland area, check out children’s outreach organizations near you. I’m sure your time or donation would be appreciated. My 4th grade daughter is invited to a classmate’s birthday party. Instead of gifts, this decade old child is asking friends to each bring a package of diapers that will be donated to a family through Northwest Children’s Outreach. I know of adults who wouldn’t give up presents or grown-up toys to help others in need. I stand in awe of this 10 year old who clearly has shown that she embodies the nature of a servant.